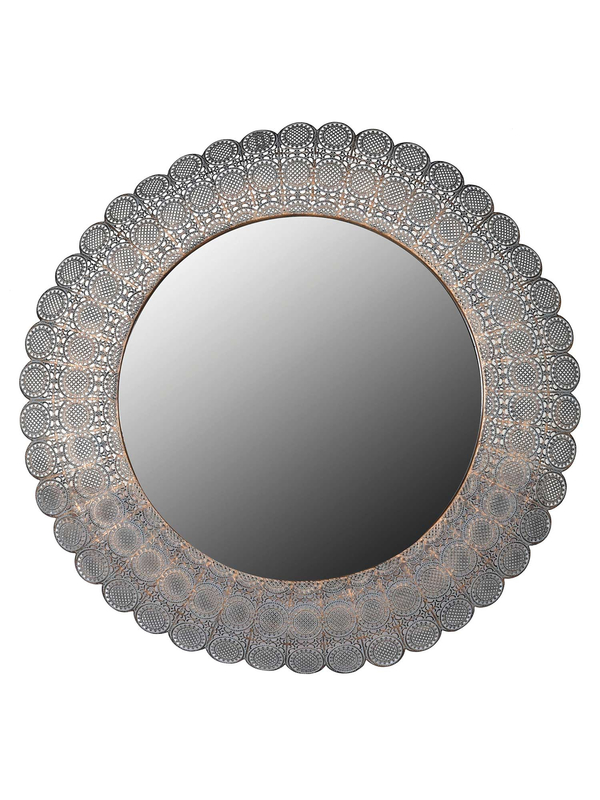 Let our glorious and joyful Helios Scalloped Mirror bring beauty and light into your home. In Greek mythology Helios was the god of the sun, who rode a horse-drawn carriage through the sky bringing light to the earth. 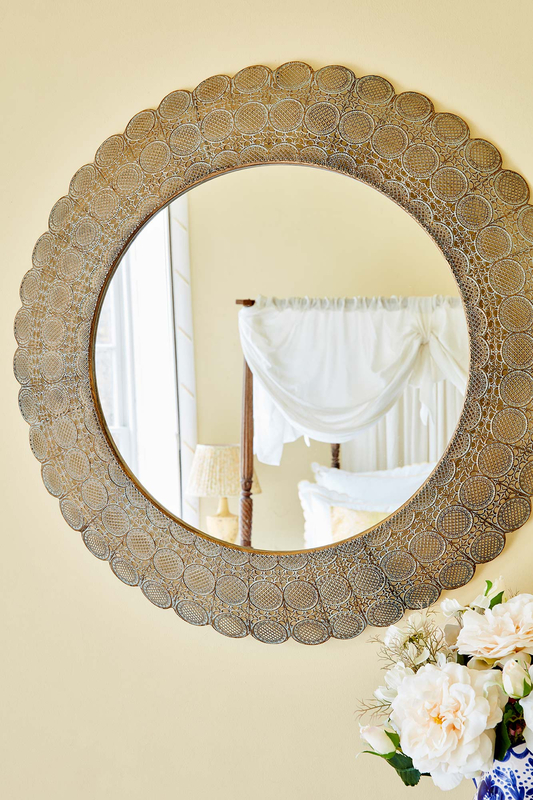 The intricately patterned, scalloped frame evokes the warm rays of the sun, and positioning this mirror opposite a window reflects light through your home making it beautiful and bright. This product comes in a brown box directly from the artisan.